"IVIS is constantly adjusting so it better fits the idiosyncrasies of our winery, and at the same time is making it easier to learn and use. We have never been so organized." 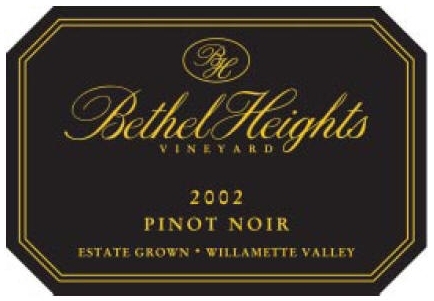 Terry Casteel, Winemaker, Bethel Heights Wnery. "IVIS doesn't simply make us current with the new federal record keeping regulations, the real value of IVIS is the incredible savings of time both in and out of harvest when you need information NOW and the amazing detail in the data." 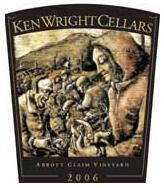 Ken Wright, Winemaker, Ken Wright Cellars. "IVIS is an elegant, adaptable system. There is no better way to track your process from grapes to bottle." "We vinify a large number of high-quality lots. IVIS helps us manage the entire process: from Fruit Plan, through Ferment Management, Blending and past Bottling. We are happy with the system as well as the service. I recommend it." Laurent Montalieu, NW Wine Co. & Solena Cellars. "I never realized how many spreadsheets I was keeping track of until we installed IVIS! Bulk wine, Barrels and Inventory are all just a few clicks away and the end of the month reporting is so done." Lynn Penner-Ash, Winemaker, Penner-Ash Wine Cellars. "I've made wine for 30 years on both coasts of the US. I've just returned back to Virginia from Oregon to make wine at Chrysalis Vineyards. The most important tool I've brought back with me is IVIS. I believe that IVIS is just as important as the right press or barrel for making great wines. IVIS is the best "terroir" for my computer." Alan Kinne, Winemaker, Chrysalis Vineyards. "I looked at several of the leading systems, including Blend, and I chose IVIS because it was by far the easiest to use." Jim Kakacek, Winemaker and General Manager, Van Duzer Vineyards. 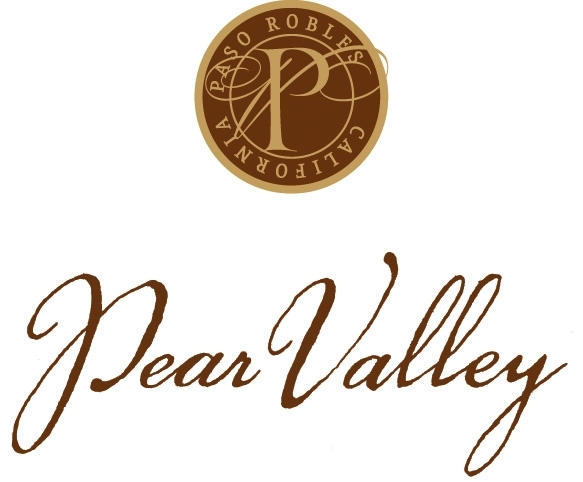 "Pear Valley grows and vinifies 24 varietals and keeping accurate records is imperative. For me, the ease of inputting and extracting data is the game changer. I do not know of any other software that will adapt to your individual needs as well as IVIS. Not to mention the unparalleled customer service." Jared Lee, Winemaker/Operations Manager, Pear Valley Estate Wine, Paso Robles, Calif.
"IVIS has many great features, but the most outstanding is its flexibility. Many features can be customized. The system is constantly evolving. It's amazing to see the updates we've had in the last 12 months! I don't believe there's another system available that encourages individual input." Heather Mackley, Assistant Winemaker, Elk Cove Vineyards. "I was recently introduced to IVIS after more than a decade using another winery/vineyard data management system. I have found IVIS to be extremely intuitive and well designed. I am most impressed with its comprehensive coverage, customer support and ease of use. I have been converted." Tony Rynders, Winemaker/Owner, Tony Rynders Consulting. "I have found IVIS software to be extremely useful. It gives me complete up to date history of all the processes performed from the crush pad thru bottling,including valuable information on lab results,yeast additions,barrel origins,etc. Further it is a helpful tool in establishing accurate inventory procedures and for TTB reporting accuracy. It also gives you the ability to assign work orders efficiently. The IVIS training received has been most helpful." "We had been working with a series of spreadsheets to manage our cellar records. When it became time for us to implement a Work Order system we needed a better way to manage the data. After reviewing a number of software packages we felt that IVIS offered the greatest depth of data and flexibility in reporting. The support team at IVIS has been fantastic at helping us to customize the program to the way that we operate." "As our production levels grew, information was contained in a complicated series of spreadsheets. We reached a point where record-keeping in both the vineyards and the winery needed to improve. IVIS has streamlined our ability to track vineyard and winery work with an incredible level of detail, and has made data-mining far smoother. The truest strength of IVIS is the customer service: help is always there. We wanted a software solution that would allow us to bridge vineyard and winery operations, and were able to work with IVIS to develop the vineyard work capabilities to do just that." "IVIS has made our life much easier and the wines better â€“ we are not missing deadlines or details anymore." 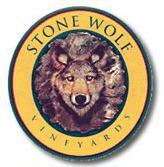 Linda Lindsay, Manager and Vigneron, Stone Wolf Vineyards. "Before IVIS, my custom studio was run on spiral notebooks and Excel sheets. Imagine referencing 8 clients, our own wines, and 5 years worth of data that wayâ€¦ Impossible! But now that I use IVIS I have the power to easily capture data, import, export, attach, filter, and reference every aspect from raw materials to shipped product. And itâ€™s all reportable to my clients and to the TTB in a manner that makes sense. Iâ€™ve been so inspired by this program that for 2005 crush Iâ€™ve gone to IVIS Mobile and barcodes. I highly recommend it." Zac Spence, Winemaker and General Manager, Walnut City Wineworks. "The more winery systems I looked into, the more convinced I became that IVIS was exactly what our winery needed. Boasting an extremely user friendly interface with completely integrated / easy-to-navigate fields, flexible structure that allows for detailed customization, and unparalleled technical support, it is by far the most comprehensive AND reasonably priced modular system available. A+"
Patrick Taylor, Winemaker, Cuneo Cellars. 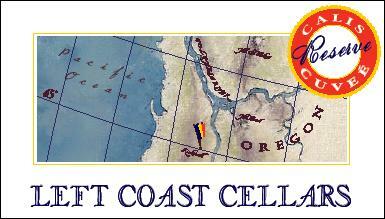 "Left Coast Cellars is happy to have chosen IVIS for our Winery and Vineyard Software needs. The customer service is exceptional. IVISs' ability to track wine from grapes to bottle makes complying with the Bioterrorism Act and TTB reporting easy. Thanks IVIS!" Luke McCollom, Winemaker and General Manager , Left Coast Vineyards and Cellars. "We manage over 250 acres of quality vineyards for multiple clients. We keep track of all the work with IVIS. It has been an efficiency tool for us. The training and service have been fabulous!" John Gilpin, General Manager, Vineyard Agricultural Services, Inc./St. Joseph Orchard, Inc.
"A comprehensive database system that is as complex or simple as you desire. The technical support is outstanding!" Steven R. Anderson, Winemaker, Eola Hills Wine Cellars. "At Owen Roe, we vinify hundreds of small high-quality lots. This requires a large amount of information be captured and quickly accessed. We rely on quality information to produce and manage our quality product. IVIS helps us do that. We capture and analyze much more information than we ever did before. And the support has been great!" Aaron Lieberman, Assistant Winemaker, Owen Roe Cellars (& Winemaker, Cottonwood Winery). "I chose IVIS after extensively researching the market for winery and vineyard software. Nothing came close to providing such excellent functionality at a very good price. Hector and Meme have spent thousands of hours listening to winemakers and vineyard managers. They still do and constantly update the system to reflect the needs of their customers. Iâ€™ve been amazed at the amount of time they have spent with me to make sure I am comfortable using the system. Their commitment to service is unsurpassed. I highly recommend IVIS to anyone looking for winery and vineyard management software." Bill Sweat, Proprietor, Winderlea Wine Company.